Larry Daley, once a security guard at the American Museum of Natural History but now a successful businessman, misses his friends at the museum. 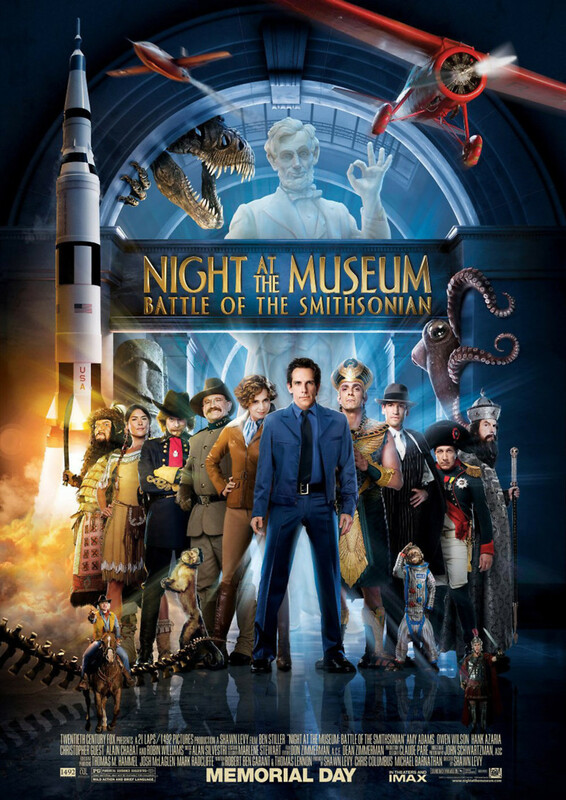 Knowing that several exhibits come to life at night, Larry tries to pay them a visit, but finds out that many of the exhibits are being moved to the Smithsonian Institution. The device that makes the exhibits come to life, the Golden Tablet of Akhmenrah, falls into the clutches of the villain Kahmunrah, who plans to use its powers to take over the world. When Larry learns of this plan, he heads to the Smithsonian with his son to stop Kahmunrah. He enlists the help of friends Jedediah, General Custer and Amelia Earhart. The team manages to steal the tablet back from Kahmunrah, sending him to the underworld. Larry then sells his company to donate enough money to keep all of his beloved exhibits at the American Museum of Natural History, where he once again takes a job as security guard.